What if leadership’s job was fueling positive energy and not getting buried neck deep in cow plops and road apples? 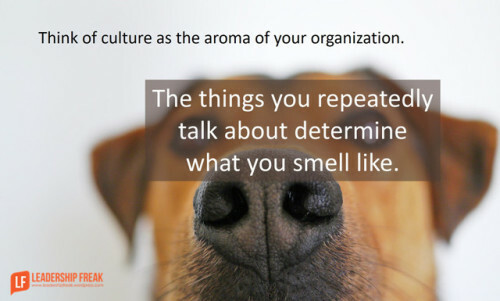 Think of culture as the aroma of your organization. The things you repeatedly talk about determine what you smell like.